The NSF Merger tool is smartly designed to combine single or multiple Lotus Notes archive file in a click. The software offers two options to unite NSF files, i.e. Join or Merge. On the process of Join all the files or folder of Lotus Notes is placed into the single folder without altering the original name of files. While in case of Merge all the items of Lotus Notes are merged together and create a single folder for each item in a file. NSF merger is recently invented to deal with the old bunch of Archive files by uniting them in a single folder. With this option user can merge unlimited NSF files and generates single folder of all Lotus Notes items of different files. A tool to combine Lotus Notes Archives delivers users another process to unite Multiple NSF files i.e. Join. In this process user can save their all the NSF files without any changes to their name as well as folder hierarchy, just keep them in a same file as it is. NSF Merger is easy-to-use, efficient and competent tool. Properties of this tool are perfect in all manners. To reduce size of the outcome or avoid any confusion user can remove the duplicate contents by check in the option of "Remove Duplicates". To reduce file size or unused data, software provides another option, i.e. "Exclude Deleted Items". 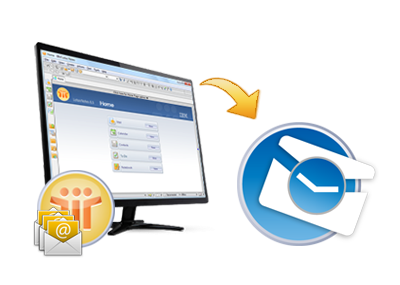 This way the user can minimize the size as well as time to Merge Lotus Notes Archives. Users just have to check in the given option and software works accordingly. The Lotus Notes NSF Merger is designed to work with Windows OS and it's all current and Lower versions. Also Software supports all editions of IBM Notes from 9.4 to 6.0. The basic need to run the software is that a live environment of Lotus Notes. The property that made its exclusive is that it does not restrict the user in any means to merge the NSF files. Users are free to combine unlimited NSF files and it carries all items of Lotus Notes like Mailbox, Contacts, Calendar, To-do and Journals. I am glad to say that tool to merge NSF archives provide us an ease to handle with Archived data files of Lotus Notes. Now I can manage all my files very easily. Thanks a lot team to make our lives stress free. I would like to say one thing that this tool is really a brilliant invention by your team. None of us thinks about this idea that we can combine all the Lotus Notes files and placed them in a single folder. Great Works guys!. Hats Off team! You are brilliant what an extraordinary product you made. It was panic work for me to manage & search specific files, but now it's not panic me anymore. Thank you Team once again. I have never ever seen the functionality of any product like this. I am really grateful to you guys.